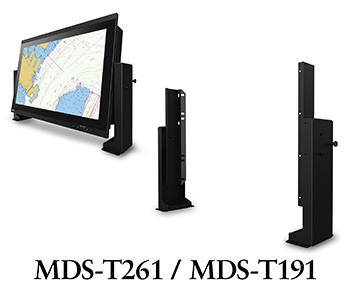 Hakusan, Japan, October 19, 2017 – EIZO Corporation (TSE:6737) today announced the MDS-T191 and MDS-T261 – two stands compatible with its current lineup of 19- and 25.5-inch marine monitors. The MDS-T261 and MDS-T191 will begin shipping as an option with compatible monitors from October, 2017. Date of availability varies by country so contact the EIZO group company or distributor in your country for details.